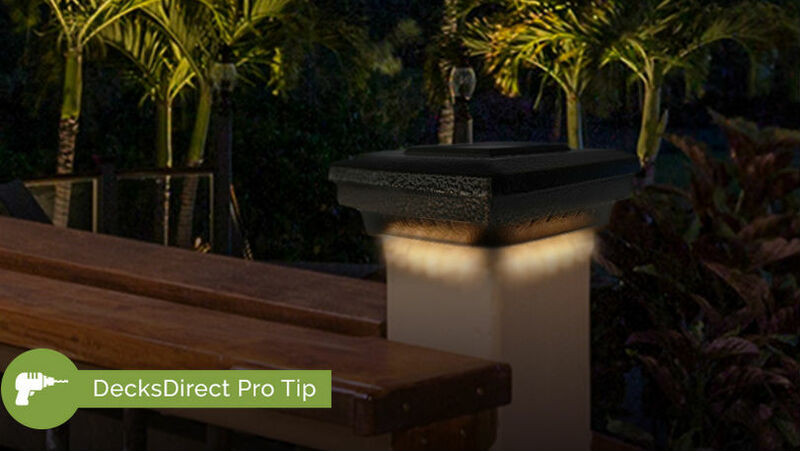 Add intelligent illumination and superior design to your deck with the groundbreaking Savvy Solar Post Cap by Dekor; blending the top-tier quality you know from Dekor low voltage lighting with cutting-edge solar technology. Bring your outdoor living space into a brighter, more sustainable future as this post cap helps lighten your home's electricity use through the power of the sun and is crafted from completely recycled aluminum. Skip the hassle of wiring and powering every section of your deck and harness the power of the sun with the all-new Savvy Solar Post Cap; American-made by Dekor. To ensure a consistent, lasting shine everyday Dekor equipped the Savvy Solar Cap Lights with smart charging indicators to help you control and maintain the brightness level you want. Select your radiance level and lighting schedule and the smart solar technology can calculate if your cap has received enough solar energy to remain lighted according to your settings. If your solar cell hasn't received enough sunlight, the cap will blink several times to show an inadequate energy level before remaining on as long as it can. Worried about not gaining enough light on the occasional cloudy day? No problem! The Savvy Solar Cap can easily be charged through an external power source on days where the sunlight is low. Simply lift off your post cap, connect it to your Dekor LED DC Transformer with the EZ Quick Connect Wire (included with transformer) and let it charge via a standard outlet. After a few hours, your Savvy Solar Post Cap will be bright enough to shine on through even the most overcast days. It’s not necessary to charge 24 hours before installation. The post cap runs on either solar or an external power source. You can either charge it with an external power source before installation or install the cap and let the sun do the work for you. The caps are for outdoor use and able to handle outdoor conditions. If you wish to charge the caps through an external power source, you can bring them inside or wherever your transformer is plugged in. I hope this helps, please let us know if you have any further questions. Is it necessary to charge 24 hours before install? do you leave out then bring into lit storage area?